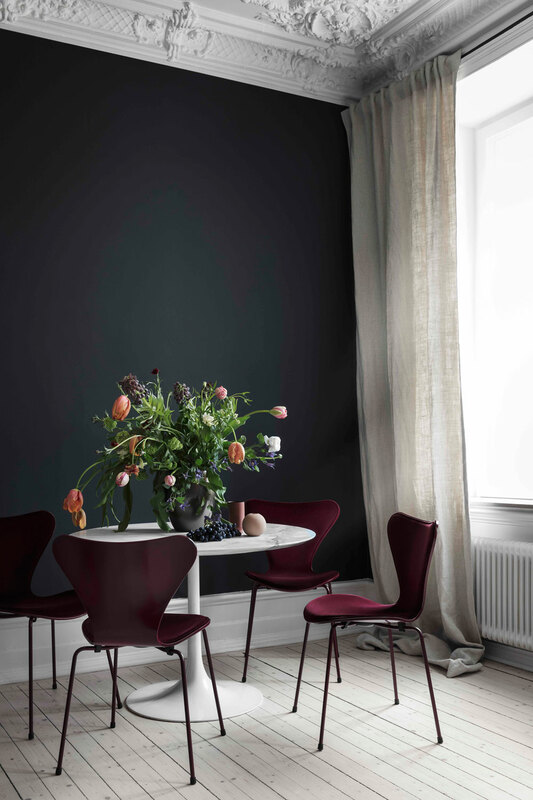 In September last year, I’ve shown you these beautiful velvet-upholstered Series 7 chairs, a creative collaboration between fashion designer Leyla Piedayesh of Lala Berlin and Republic of Fritz Hansen. 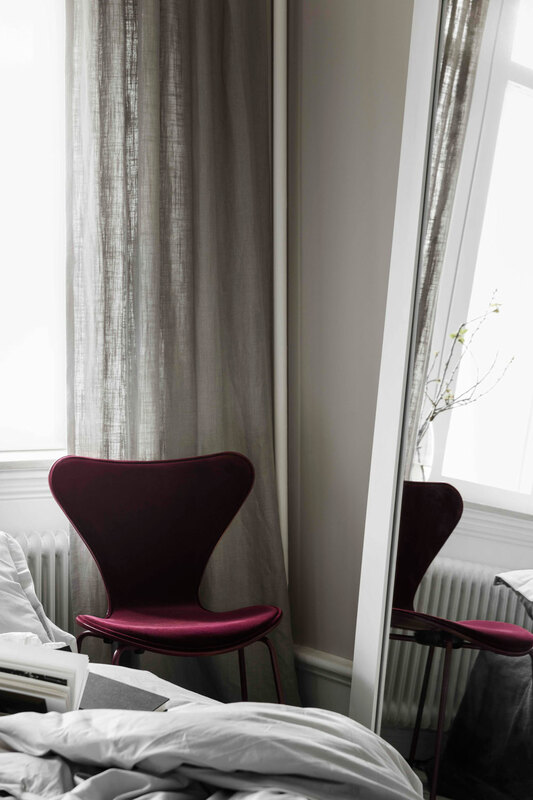 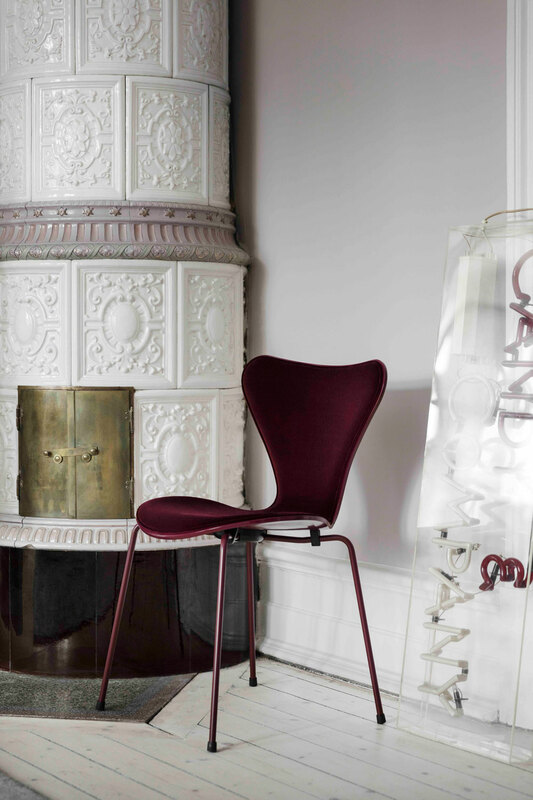 The Danish design powerhouse enlisted Emma Fischer who did a fab job with the styling, as well as talented photographer Fanny Hansson, for a recent photoshoot with the iconic Arne Jacobsen design in a saturated shade of burgundy. 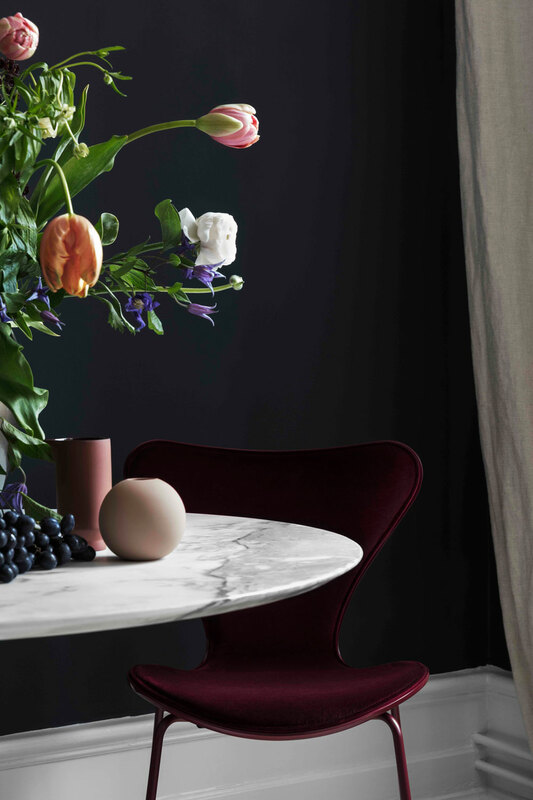 The result is shown below – Beautiful and inspiring! 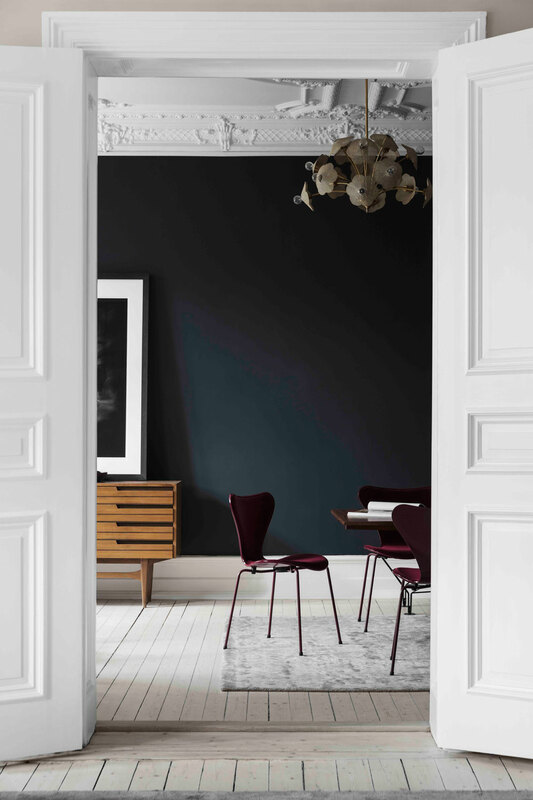 Gorgeous black shade on the walls, right? 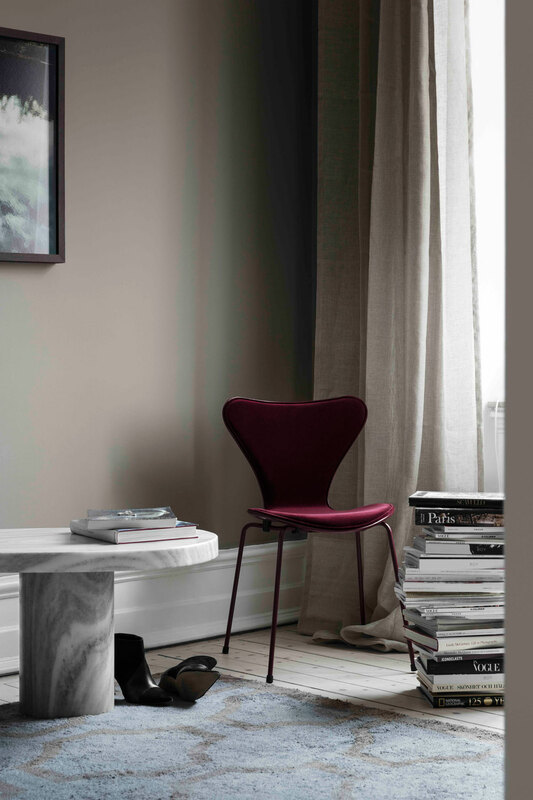 For something similar, check out Railings by Farrow & Ball.